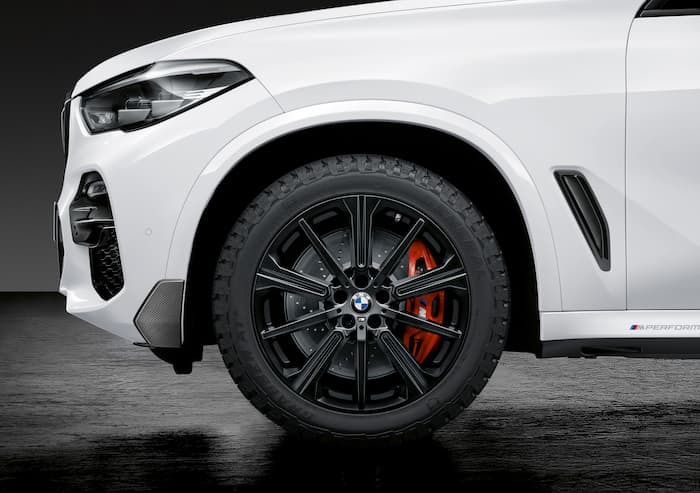 The new BMW X5 was announced back in June and now BMW has announced a range of M Performance Parts for their SUV. 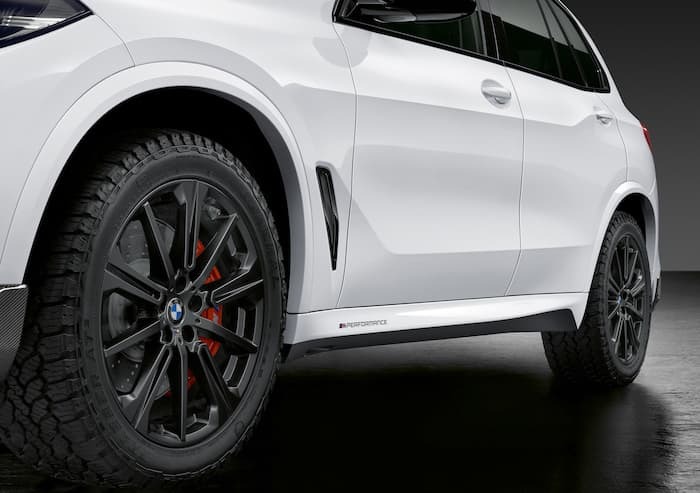 The BMW X5 M Performance Parts include a range of carbon fibre exterior parts and also some new all terrain 20” M light alloy wheel Star Spoke 748 M wheels. There is also a new set of optional 22 inch wheels. Like its predecessors and indeed the entire BMW X model family, the fourth generation of the BMW X5 (combined fuel consumption 11.6-6.0 l/100 km; combined CO2emissions: 264–158 g/km; provisional figures*) combines impressive off-road performance with outstanding driving dynamics quality on the road. 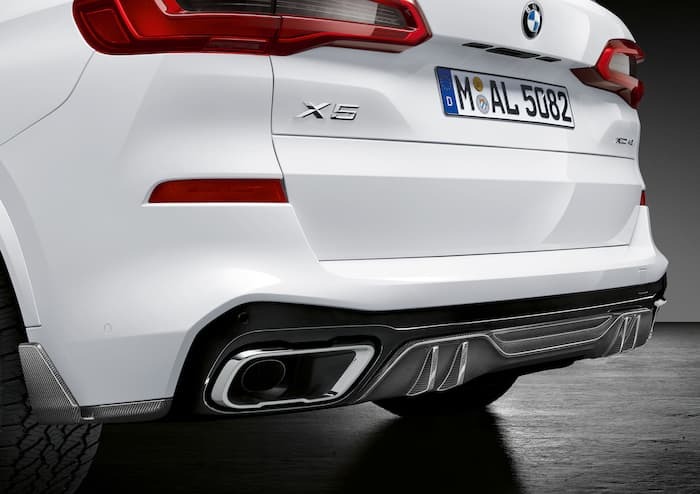 With an extensive range of M Performance Parts for the new premium SAV (Sports Activity Vehicle), BMW now in particular addresses those customers who wish to selectively refine the vehicle’s sporty character and give this aspect further emphasise the character. 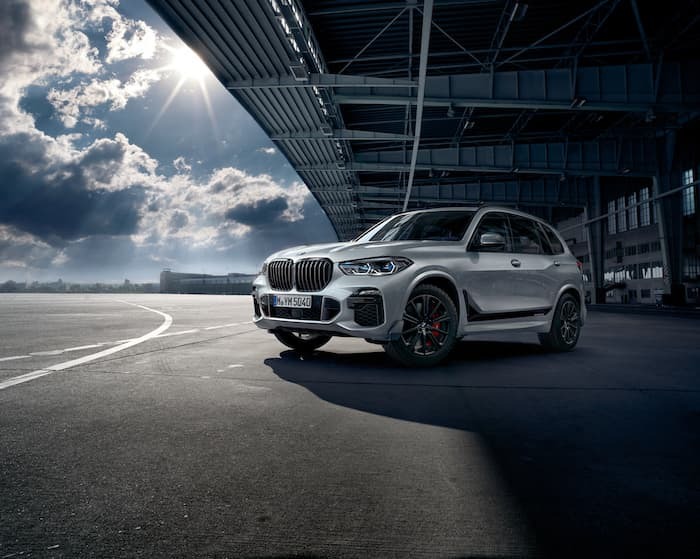 The M Performance Parts available through the Original BMW Accessories programme will be available right on time for the worldwide market launch of the BMW X5 in March 2019. 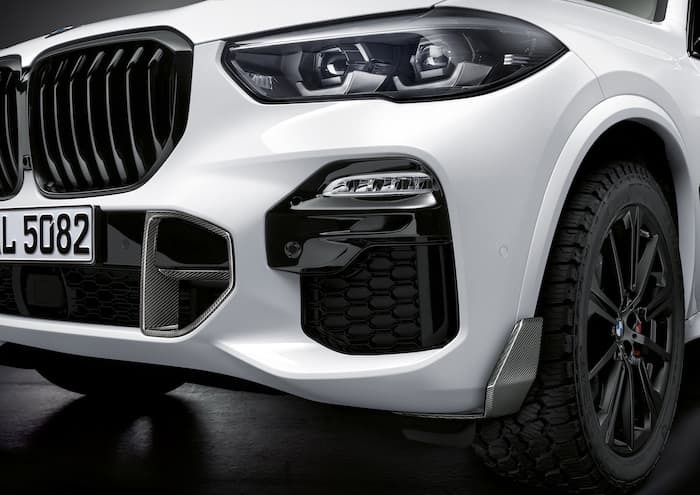 You can find out more details about the new M Performance Parts for the BMW X5 over at BMW at the link below.